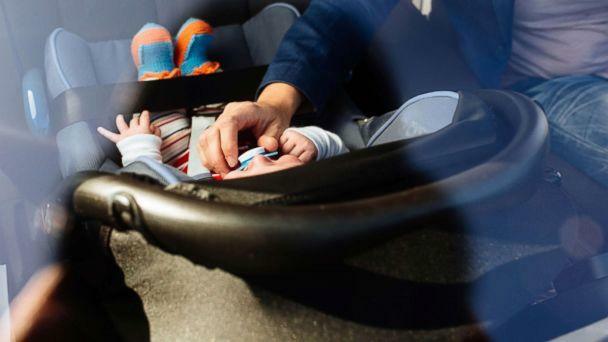 Children should stay in rear-facing car seats as long as possible to protect their developing heads, necks and spines in the event of a crash, according to new guidelines from the American Academy of Pediatrics. Parents are now advised to keep their children's car seats in the rear-facing position for as long as possible, according to the AAP's recently updated recommendations. Previously, the AAP recommended rear-facing car seats up until the age of 2. 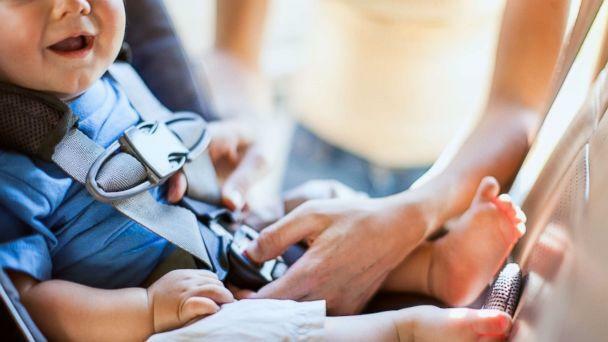 The AAP's new guidelines are encouraging parents to keep kids rear-facing until they have reached the maximum height and weight limit listed on their car seat's labels and instruction manual. Then parents can transition kids to the next phase of car seat or booster seat. Motor vehicle crashes are the leading cause of death for children over the age of 4, according to the AAP. Placing a child in a car seat correctly can help decrease the risk of death or serious injury by over 70 percent, according to nonprofit child safety organization Safe Kids Worldwide. "Every month that a child rides rear-facing a little bit longer gives more time for the head, neck and spine to develop," Kerry Chausmer, director of certification at Safe Kids, told "GMA." "And that's really why we want kids to ride rear-facing. It protects the head, neck and spine better in a crash." Dr. Benjamin Hoffman, lead author of the AAP policy statement and chair of the AAP council on injury, violence and poison prevention, said that car seat manufacturers now produce seats that allow children to remain rear-facing until they weigh 40 pounds or more, "which means most children can remain rear-facing past their second birthday." "It’s best to keep your child rear-facing as long as possible. This is still the safest way for children to ride," Hoffman added in the statement released by the AAP. Experts also say it's not a problem if older children's legs can touch the back seat while using rear-facing car seats. Read more about the AAP's car safety guidelines for children here. Editor's Note: A previous version of this article stated that rear-facing car seats are recommended at least up to the age of 4 while the new recommendations say that kids should be rear-facing up to the height and weight limits of their cat seat.